The AIMETE 2019 Application form will be available online and can also be collected from any of the IETE centres. The online window to apply for the exam will close in the 3rd week of April and October 2019 for the respective cycle of June and December. Candidates can apply for AMIETE 2019 by downloading the online form and submitting it to IETE head office by post or submit it in person. Candidates can login to controller’s official web portal form to get access to the application form and click on AMIETE link and select the stream. A prospectus along with application form appears on the screen. Pay the application fee through online via credit/debit card. Take print out of the application form for further reference. 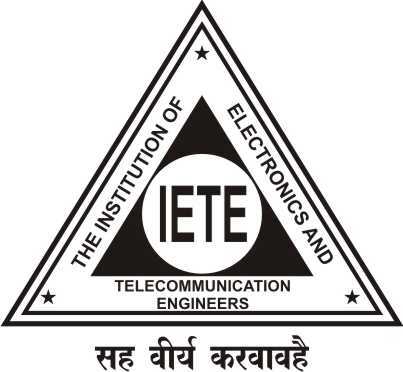 The candidate needs to Visit the official website of IETE and click on AIMETE. Applicants will have to select their respective stream by clicking on it. The prospectus of AMIETE will appear and the application form will be enclosed within it. Click on download the application form and take a printout of application form. Candidates will have to fill in a few basic details such as Name, Date of Birth, Email-id, Mobile Phone number, Address of correspondence, Course opted for, Qualifying exam, Test Center, etc. The candidate must paste a stamp-sized photograph on the form. Check the application form once again, while filling the form avoid making mistakes in the form. After filling the form, aspirants must enclose a demand draft of INR 6000 (separate DD of INR 350 for downloaded forms), another photograph similar to the one pasted on the form and other necessary documents if required. The AMIETE 2019 application form should be delivered in person or by speed post/ courier to the address mentioned in the form. The AMIETE 2019 application form must contain all the necessary enclosures along with the demand draft of requisite fees. Candidates can correct AMIETE 2019 application form until May 2019/ November 2019 with a fee of INR 500. From June to June 2019/ December 2019 application form can be corrected with a fee of INR 1000.